No more callous, lunatic scheme was ever devised. 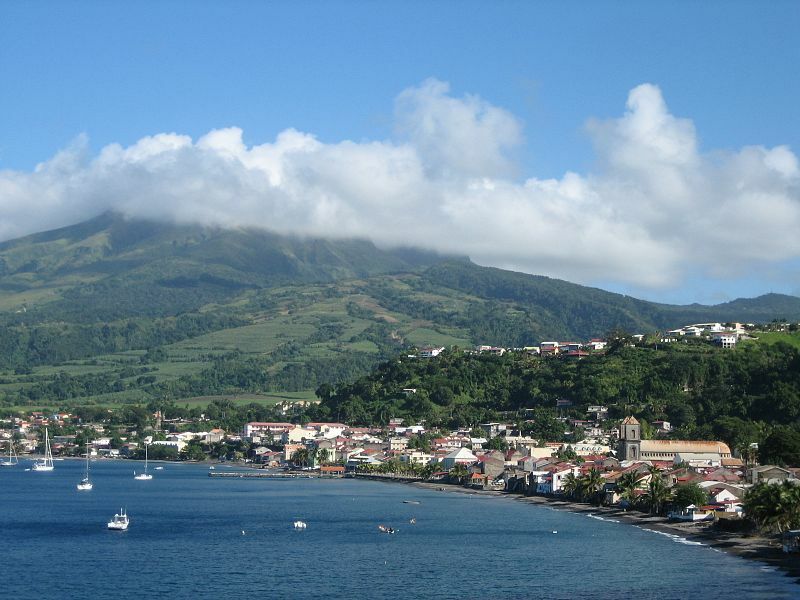 It’s 1765, and Father Cléophas of the Frères de la Charité in St. Pierre, Martinique, is plotting to recapture slaves left behind when his brethren and he fled Grenada from British forces. Cléophas has a paper that, he claims, grants him power of attorney over his lost property. But that sounds dubious even to the two slave brothers he orders to sail to Grenada, Emile and Lucien, so the British are unlikely to listen. The only hope of success, Emile believes, lies with persuasion and stealth, treating directly with the fellow slaves his brother and he grew up with. Cléophas is a brute, and several of his colleagues are worse, but the British slave masters outdo them. Will the slaves on Grenada leave one island for another, if Emile can convince them that servitude on Martinique will be better? Much hinges on the relationship between Emile, twenty-eight, and Lucien, thirteen. The elder, who grasps the danger, tries to leave the younger behind. But perhaps because of pride, Emile fails to explain how vulnerable they’ll be — an admission he can’t easily make — while Lucien, who idealizes his brother, lacks the maturity to see outside his own concerns. Rather, he assumes that Emile is swatting him away, as always, and since he wants people to take him as a man and earn big brother’s respect, he insists on going. Besides, since he can read a little and speak some English, neither of which Emile can do, Cléophas decides that Lucien must go. What a breathtaking premise, laden with potential for heartbreak and transcendence. Harris delivers, on all counts. Sugar Money is a compelling, unusual story, riveting from start to finish. “No — and furthermore” lives in these pages, and the moral stakes are enormous, the secret to extraordinary fiction. Vivid as a prose poem seasoned with kréyol phrases, the novel succeeds on many levels — as adventure, a tale of another time, a narrative of sibling rivalry, and an exposé of colonialism. Some masters are swift to get to the point when they give instruction; you might say they go directly to the main door, cross the threshold, no hesitation. Father Cléophas was not one of these. He would walk around the property first, try the windows, then wander off into the garden to gaze at the roof before eventually he retrace his steps to the front of the dwelling and give a tentative knock and — whiles he went on this bumbling circumbendibus — you oblige to go with him. . . .With this rigmarole and in other ways, Cléophas like to cultivate the impression of being an absent-minded, kindly fellow and he would beguile you with that bilge awhile until you became better acquainted and began to cognise just how sly he could be, for true. Much of the story revolves around Lucien’s refusal to follow directions, and Emile’s belief in his considerable skills at diplomacy and leadership, which play out between the brothers as well as in their mission. With the odds so great against them, there’s no room for error, and the narrative feels unbearably tense. My only criticism of Sugar Money is that, at times, Harris employs physical clichés for Lucien’s emotional transitions — heartbeat, guts, etc. — when she’s otherwise careful to render those moments more specifically and genuinely. But that’s an intermittent, minor, complaint. Instead, my biggest quarrel is with the publicist who decided that the first thing to mention on the jacket flap is how a true story inspired the novel. Does that matter? Is that why people read fiction, and would they move over to the nonfiction shelf if Harris had made everything up? Just as historical truth can’t rescue a narrative that seems implausible, the ability to weave human truth into historical fiction makes it irrelevant whether events happened exactly as written. Is the publisher underestimating the reading public, or is that lack of confidence warranted? But if we’re talking history, recall that by the Treaty of Paris in 1763 ending the Seven Years’ War (aka the French and Indian War), Britain, which had conquered several Caribbean islands, kept Grenada, among others, while returning Martinique and still others to France. That’s the geopolitical outline behind Sugar Money, but, in reading how these slaves suffer, I couldn’t help take the timeline further. Britain’s attempt to pay for that long, expensive conflict led to taxes on tea and newspapers in North America and cries of “no taxation without representation.” But the slaves on Martinique and Grenada, caught between French and British fires, had much more to complain about.